The track will be built in two phases. A 320-meter system which is expected to be completed this year and a kilometer long full-scale system by next year. 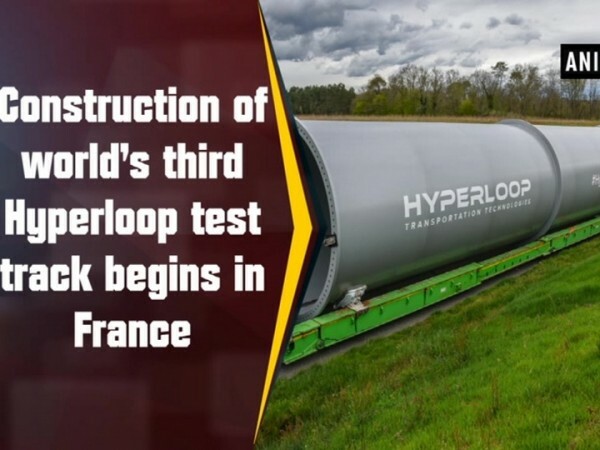 Construction of world's third Hyperloop Transportation Technologies test track and first in Europe began near its R&D center in France. The track will be built in two phases. A 320-meter system which is expected to be completed this year and a kilometer long full-scale system by next year. The other two test tracks are situated in deserts of Las Vegas and Hawthorne, California. The ambitious project by Tesla chief Elon Musk aims to develop passenger-ready hyperloop capable of sending capsules of people flying through an airless tube at a hypothetical speed of 760 Miles per hour.